So the weekend just gone, my dad came to visit us. We decided to go out for a meal as it had been my birthday since we’d last seen each other. I’ve been dying to try The Ox (sorry veggie/vegan friends!) so we booked a late table and headed there for 9:30pm. The inside was absolutely beautiful. You had to go down into the basement for access to the restaurant, but that didn’t hinder the place at all. In fact, it added to the atmosphere. Perfect lighting and the decor was eclectic and slightly ‘drinking den’. I loved it! Once we had settled down, we ordered our first round of drinks and took a long look at the menu. The food on the menu all looked fab. Some of it was a little exotic for me, but I’m learning! My mum and I chose to just share olives and a mixture of artisan breads and butters. Simple you mind think. Well, how wrong you are! 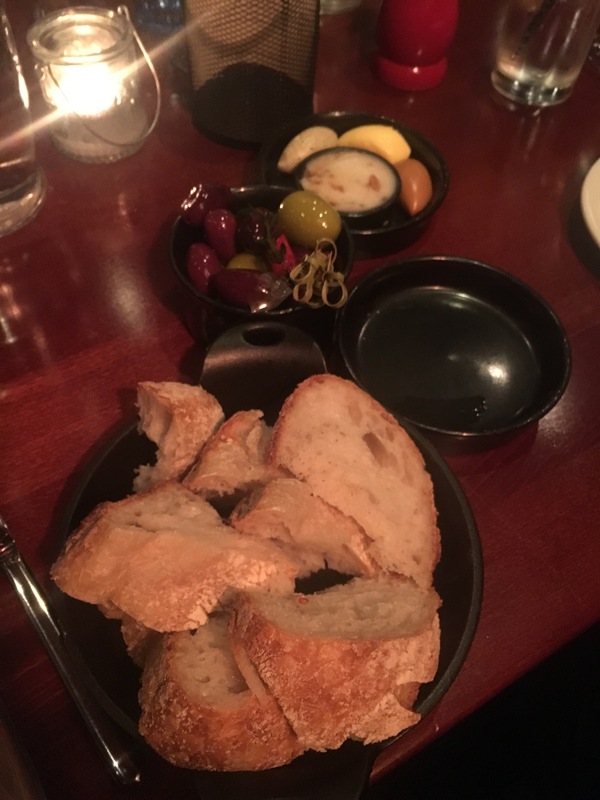 The bread came with 3 different butters, and a pot of dripping. I’m not a fan of dripping personally, but I felt it was a nice touch. The butters however, blew my mind! They had a very nice salted butter, a parmesan butter AND a Marmite butter! That was amazing. Butter and Marmite, so simple, yet so effective! Jack and my dad were a little more adventurous. 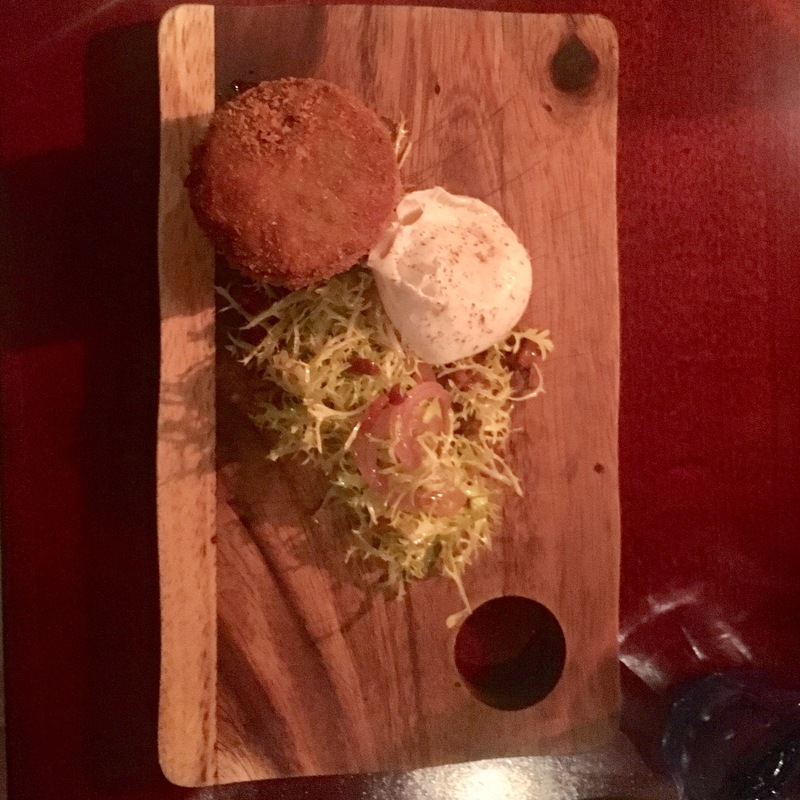 Jack had deep-fried pigs head, so poached egg, frisée and bacon salad which was essentially all the meat from a slow cooked pigs head made into a dome shape, breaded and fried. I tasted a bit and it was delicious. It had the texture of pulled pork and had a great flavor. 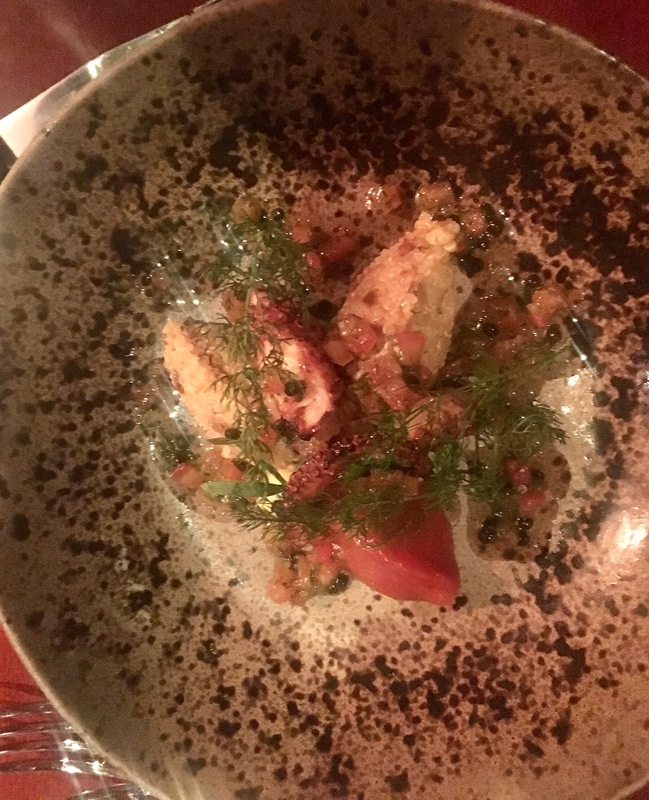 My dad went for the charred octopus, citrus quinoa, tomato jam. I love quinoa, but I couldn’t bring myself to try any of his starter. It looked amazing (if you like octopus) but I’m not confident enough for tentacles just yet! His response was good though, so must have been nice! Next we hot the main courses. 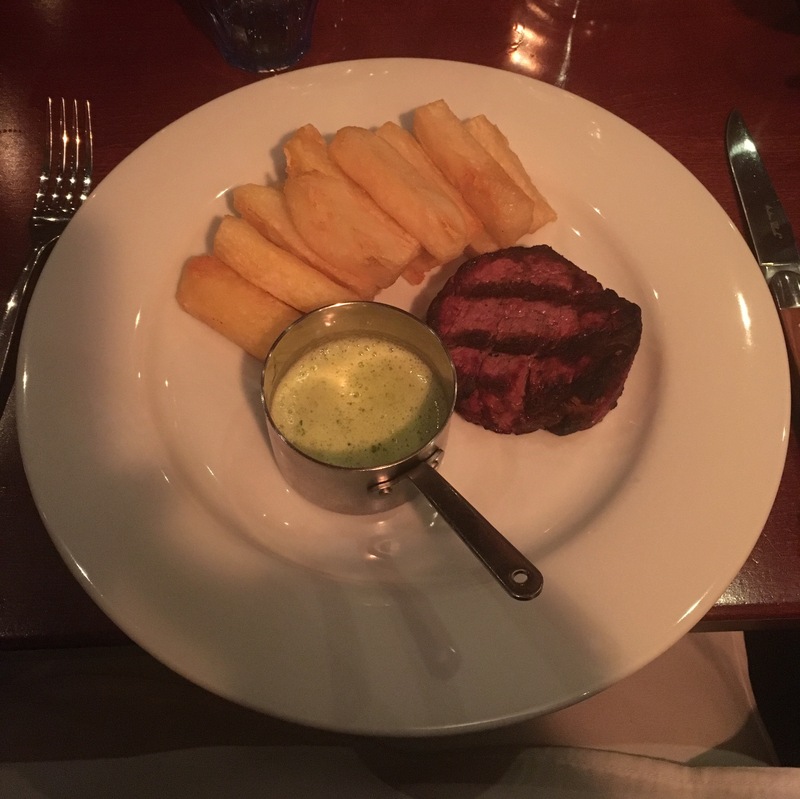 We all had steak, with me and my mum having a nice 6oz Fillet steak, my dad having a 10.5oz Ribeye and Jack going for the 10.5oz Bavette d’aloyau. All came with triple cooked chips and a steak sauce of your choice. I of course went for garlic butter! 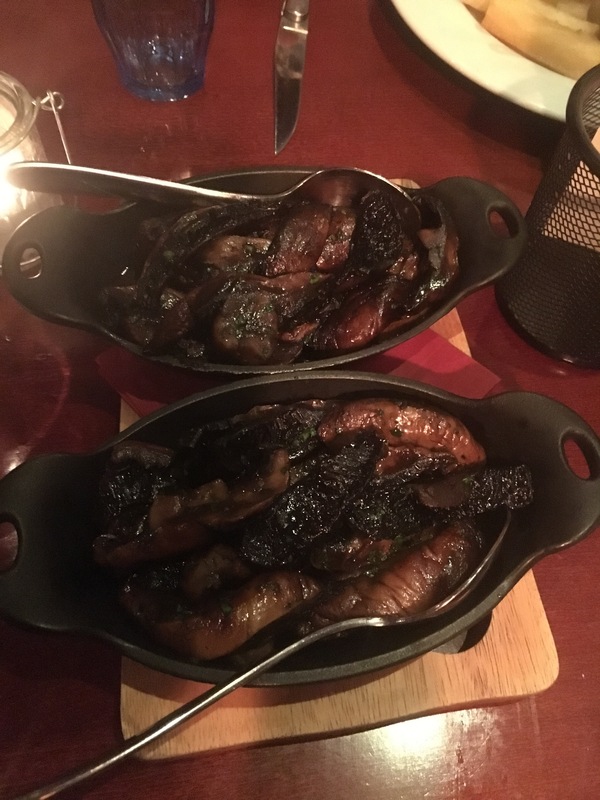 We also got a couple of sides of Charcoal Roasted mushrooms, Persillade aka, Garlic roasted mushrooms. Now they were DIVINE! I definitely recommend them. So onto the steaks. Mine was medium to well and although it was a little more on the well side than I would have liked, it was still delicious. A great flavor and a great size. I couldn’t have any of Jacks as he has it as blue as blue can be, but he said it was amazing, so that’s positive! My dad’s was unfortunately a little too well done, however we told the waiter and they immediate replaced it no questions asked. We were even allowed to keep the one that wasn’t correct for the table. So I gave that a try and it was delicious. Once we had finished we decided to give puddings a go. 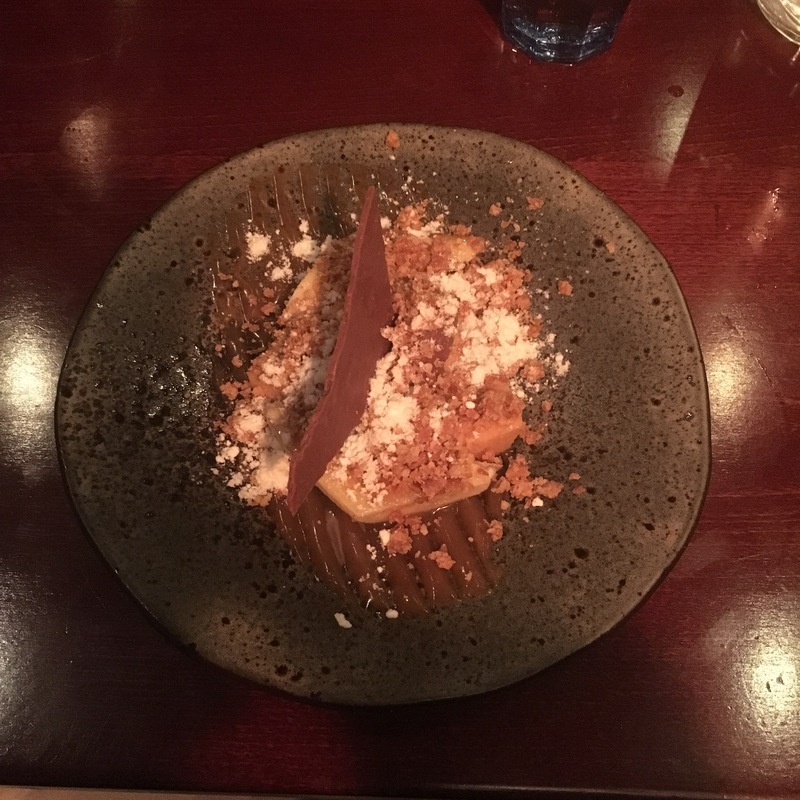 I had a baked chocolate mousse, peanut butter parfait, caramelised banana, peanut butter crunch. It was one of the best puddings I had eaten out in a very long time. It looked diddy, but you really didn’t need much more. It was a lovely level of decadent and delicious. Jack had the lemon meringue ice cream and that was just as good. Next we just had coffees and teas and a chill out before we headed off for more drinks else where. Over all, the service couldn’t be faulted. 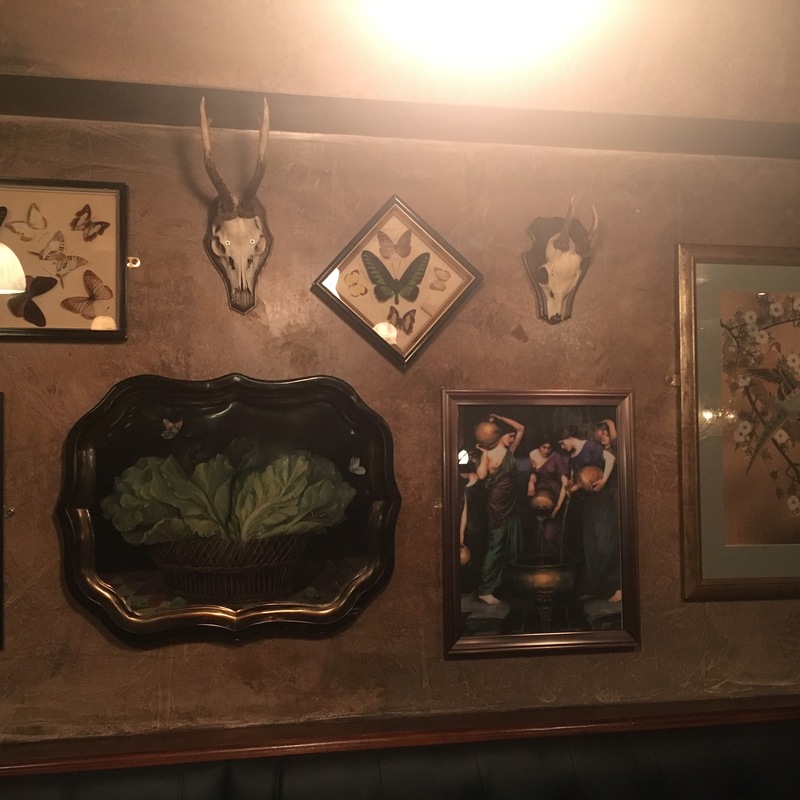 The decor was excellent and the drinks were great. 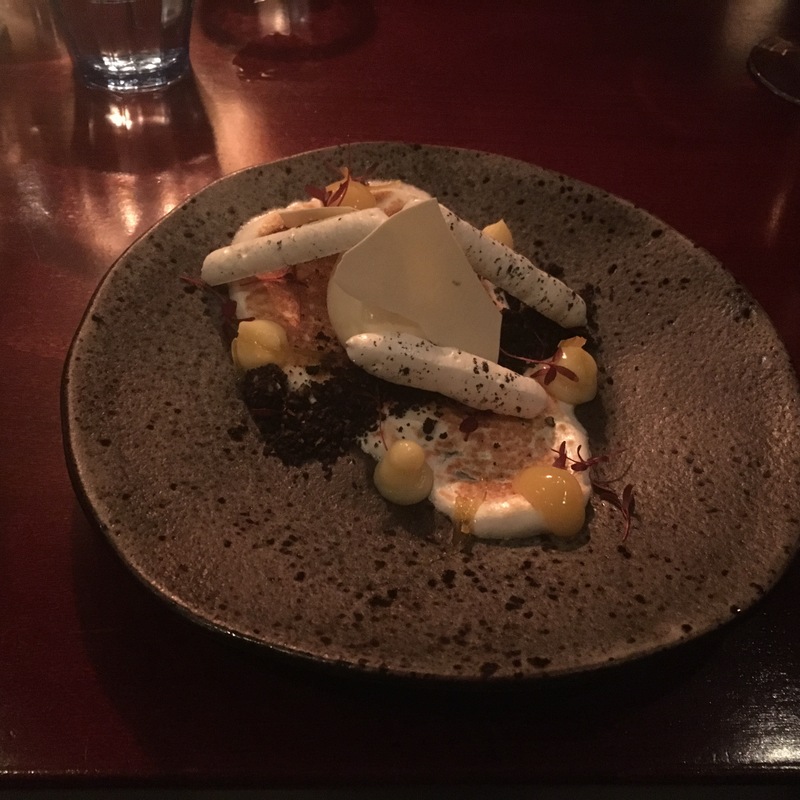 The whole meal was fairly pricey, but for a special occasion such as a birthday or an anniversary, it was the perfect place. I will definitely be back again, I was so impressed. 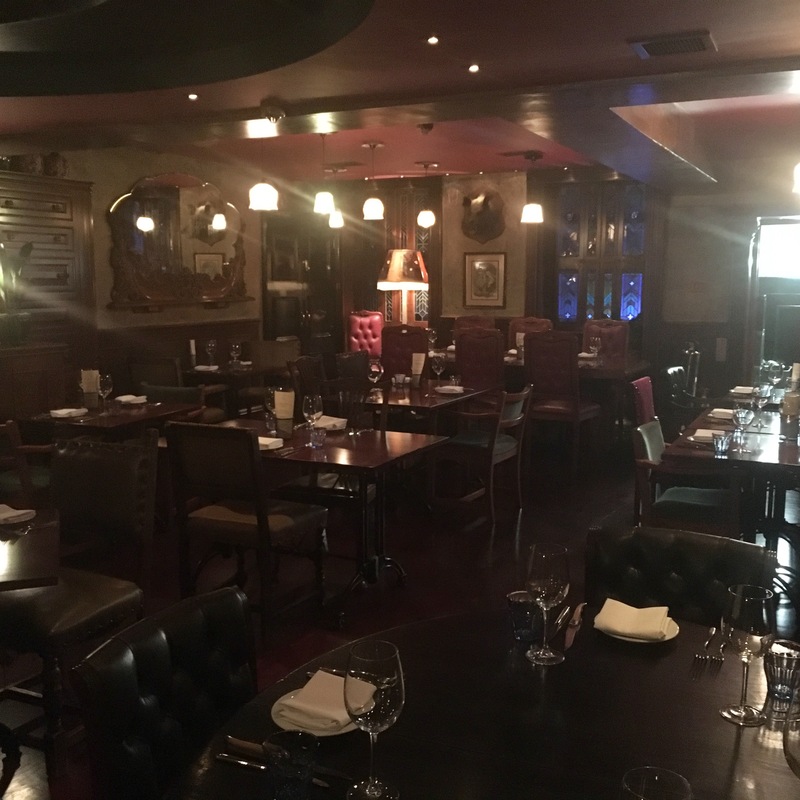 If you love steak, this is the place for you! P.S. I apologise for the dark photos, the lights were low which meant it was very atmospheric but difficult to photograph!